Missions from the Organisation of American States, CARICOM, and the British Government are observing the election. 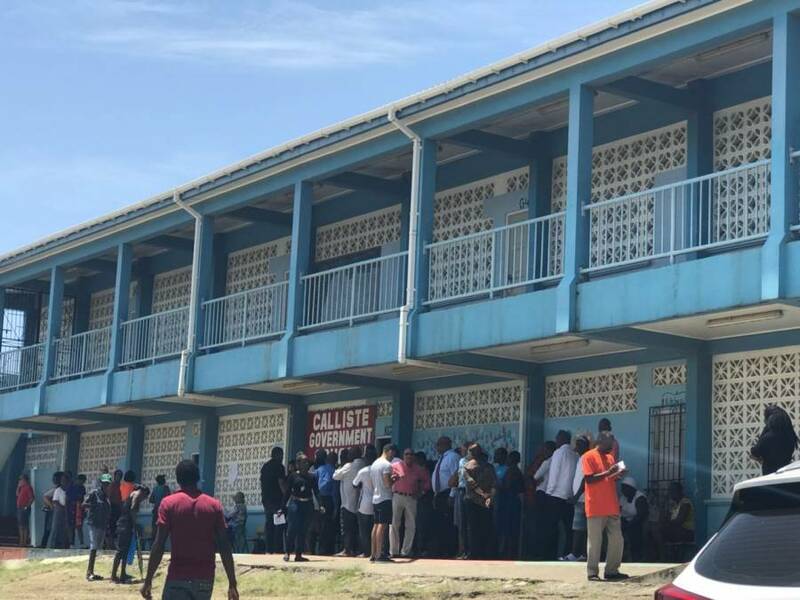 Alex Phillip, Supervisor of Elections, said that people began gathering at polling stations long before the 6 am opening time. “People began gathering long before 5 am and right now lines are long, and things are flowing smoothly,” he said. Polling stations opened at 6 am and will close at 5 pm. Results are scheduled to start within 40 minutes of the closing of the polls. One man told a radio talk show that he went to the polling station at 3:30 am and he found people in front of him. 45 candidates are contesting the general election. They represent 8 political parties, and 2 are independent candidates. There are 78,221 registered voters. However, only the ruling New National Party (NNP) and National Democratic Congress (NDC) were able to present a full slate of 15 – one for every constituency. Both parties say they are confident of receiving the majority of the votes. The party to have at least 8 seats will form the government, and the leader will become the Prime Minister.